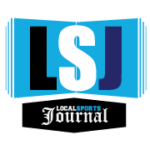 MUSKEGON – The Muskegon Risers are on the cusp of securing a playoff spot in their first season as members of the Premier League of America. It will all come down to a showdown game in next week’s regular-season finale. The Risers played to a 1-1 tie on Saturday with RWB Adria Chicago, the first-place team in the PLA’s East Division, at Muskegon Catholic Central High School. The deadlock left a lot of possibilities open for the Risers. 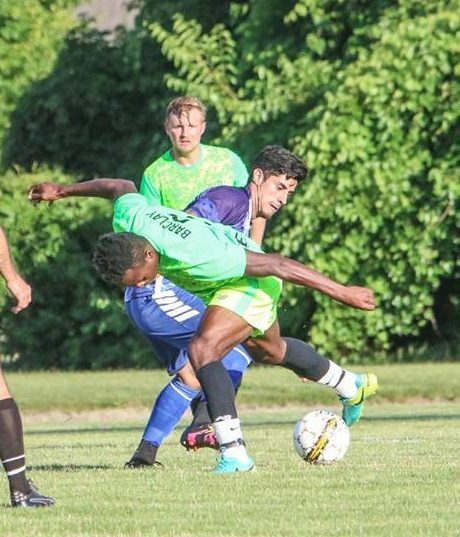 The Risers, who are in second place in the division, will host third-place Toledo Villa FC next Saturday at 6 p.m. A victory, combined with an RWB Adria loss, would give them the division championship. A victory or tie would secure at least a playoff spot for Muskegon, regardless of how RWB Adria fares. A loss would leave the Risers out of the playoffs. The top two teams in the East and West divisions qualify for the playoffs, which are scheduled for the last weekend of July in Milwaukee. “The point we got tonight was vital,” said Risers head coach Ben Ritsema. “It gives us a little bit of an advantage that we can be okay with a tie next week. Neither team took charge out of the gate on Saturday. RWB Adria broke the scoreless tie in the 30th minute. Michael Adebayo centered from the right wing to Taylor Bond at the top of the six-yard box. Bond tapped the ball past Muskegon goalkeeper Carter Selvius to put Adria up 1-0. Muskegon’s best chance in the first half came in the 44th minute when the Adria goalkeeper took down Risers striker Michael Mayberry in the box, resulting in a yellow card and a penalty kick for Muskegon. Ritsema tapped captain Stu Collins to take the kick as time expired in the first half, but Collins was stopped and RWB clung to its edge at the break. Controversy arose early in the second half when Muskegon’s TJ Ifaturoti, playing in his first outdoor game this season, launched a high shot that hit the crossbar of the Adria goal and went straight down. After conferring, officials decided the shot landed behind the goal line, and the score was tied 1-1. Ritsema said it was great to have Ifaturoti, a leading scorer on the Risers’ indoor team last winter, back in the lineup after playing in another league earlier this summer. The game was chippy from the start. with six penalty cards issued, including five in the second half. “It’s a high level of soccer, so you’re going to have two or three cards a game,” Ritsema said. “It definitely is a physical game and the ref did a nice job of controlling it.